While climatic conditions provided some challenges for horticulturists during the autumn, eager export markets underpin a groundswell of optimism in the sector. For most crops, a cold, wet spring, including hail in some regions, meant it was never going to be an ideal growing season. Then, during late summer and autumn, heavy rainfall through the North Island, and the top and east coast of the South Island, slowed fruit maturity, particularly delaying apple crops in Hawke’s Bay and Nelson, as well as creating challenging conditions to harvest grapes. Rain also presented issues for vegetable growers, who struggled to maximise yield and quality from their crops this year, particularly in Hawke’s Bay and Auckland. Looking to the future, adverse weather has made planting out this year’s strawberry crop difficult, and it remains to be seen whether the quantity of land planted in strawberries will be the same this year as it was last. "Despite those challenges, the horticulture industry remains in a strong position. " This is indicated by record and still rising land prices for the likes of kiwifruit and pipfruit orchards and viticulture property. Most growers and corporates involved in horticulture are optimistic about the future. Many are investing in development projects to capitalise on the enthusiasm that international markets have for New Zealand produce. In most parts of the sector, varieties are crucial. Those apple growers, for example, who have had the foresight and resources to diversify out of traditional varieties, moving into growing proven new strains, are achieving profitability comfortably in excess of those who have not adapted. Growing the new apple varieties to a high standard of quality and sending them into appropriate markets, particularly Asia, is financially rewarding. Those growing the new varieties are also spending more to protect their fruit from hail, which essentially is an investment in ensuring the quality of their produce and therefore their higher returns. 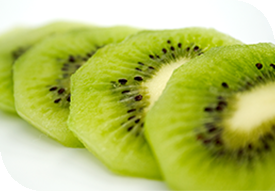 Kiwifruit provides a similar example of the dynamic opportunities for development in the sector. Growers are anxious to invest in the new Zespri licences to grow the gold G3 variety. In general, where growers have obtained these licences, which were heavily over-subscribed, they are cutting over from green kiwifruit and converting orchards to gold, rather than undertaking new planting. While this represents a significant investment in the stock, the licence and the land, for most growers, it is one that will deliver a reasonably short payback period. It is a risk that many in the sector are prepared to take across various different crops and one that, in most instances, should see bold decisions generously rewarded.